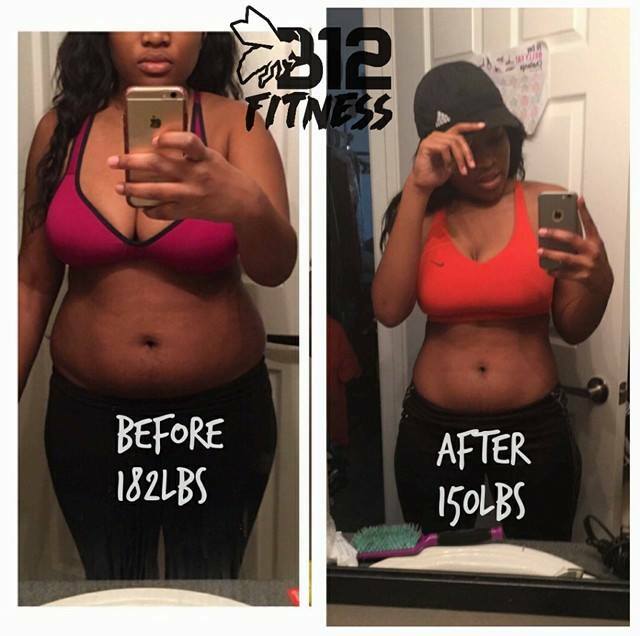 Having trained with both Brandon and Tiffany over the years, I can wholeheartedly say that you cannot go wrong training at B12 Fitness. Their expertise in the arena of fitness is outstanding and each of them bring so much more to training than just exercise. With their knowledge, support and encouragement you will want to work hard toward your goals. They take the time to get to know you – what your goals are, where your weaknesses and strengths lie and they figure out how to challenge you in just the right ways. Over the course of a couple years with Brandon I lost 60 pounds and rocked my wedding gown. Life hit hard for a few years and I let those pounds come back on. I’ve rededicated myself to my fitness and Tiffany is a beast of a trainer, whipping me back in to shape. Throughout the entire journey - the literal, physical ups and downs, I’ve not once felt judgment from Brandon or Tiffany. Just the knowledge that they want me to be the best me I can be and that they’re there with me along the way. 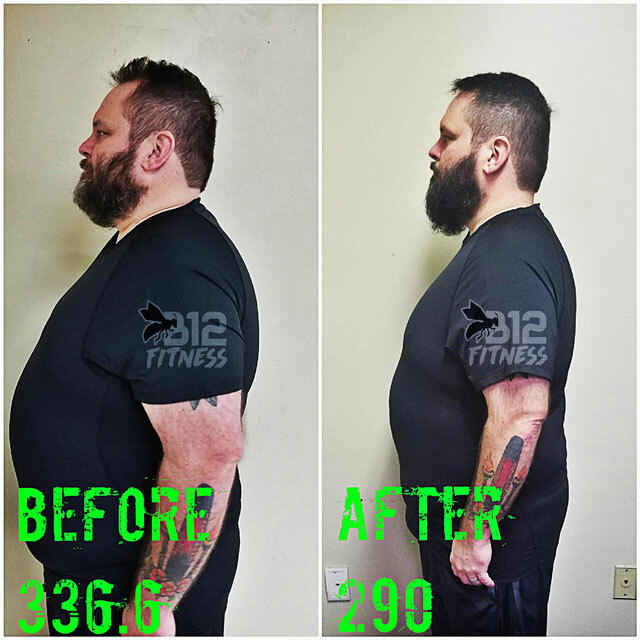 Brandon is an excellent personal trainer who strives to match your fitness goals with the proper workout techniques and training methods to help you achieve your best body! His bootcamp is the real deal. Mild-mannered but a BEAST!! I came to Brandon in June of 2015 because as a fitness professional, it can be easy to forget our own goals and the need to stay as strong and fit as possible even amid a busy coaching schedule. Two years later, I can tell you it's the best decision I made. Our twice a week personal training sessions have pushed me harder than I thought possible, physically and mentally, but the results are so worth it. I am better equipped to do my job. 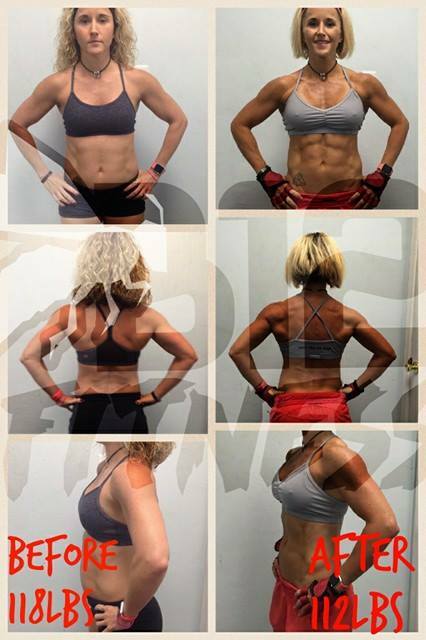 Through our training and my plant-based eating, I have dramatically changed my physique and body composition. And even more than that, in Brandon you gain a true friend and cheerleader who is committed to seeing you succeed. He does his job with integrity, professionalism and spot-on expertise. Hire him. It's the best investment you'll make in yourself. I started training with B at B12 on April 6th, 2016 at the 5:30pm bootcamp class. I remember like it was yesterday. I didn't know what to expect but when I got there it was intense, so I told myself if you want to be fit you have to stick with it. I did just that, ofcourse relapsing quite a few times. Training with B is what kept me motivated, he is personable, the workouts are geared toward your level of training & the diet regimen he recommends following can help you really shed fat. After becoming consistent with working out only 2-3 days / week, I had to try my hardest to incorporate the new diet regimen given to me. Eating properly was the hardest thing for me bc everything else looks so appealing but everything around you isn't good for your body. I followed B's plan and I stuck with it & i'm happy with my results! My starting weight was 182lbs I'm currently 150lbs. There's nobody else I would have chosen for my "fit by 50" goal. I've attended Brandon's boot camps for years, but was ready to get back in top form. Taking on extra group training sessions was just the thing. Brandon has the foresight to plan a workout that keeps all your parts fully engaged. Just when you think you can't possibly do one more squat or push up, the next exercise focuses on a different muscle group or in a different way so you can keep getting stronger and fitter. This week my former college teammates told me I might be in better shape now than 30 years ago. In the five years since I met Brandon I have participated in group training with him several times (the Y’s Biggest Mover program), one on one personal training sessions, and attended his boot camp classes. He is tough and he expects everyone to do their best and is willing to modify exercises as necessary to accommodate temporary and permanent injuries. Being part of Brandon’s team or class makes you want to try harder and push yourself farther, and in the end you see results. He provides a high quality workout and when you are finished you are proud of what you were able to accomplish. If you are looking to make some fitness changes, Brandon possess the tools and knowledge to help you succeed as long as you are willing to put in the work! I’ve had a lot of yo-yo dieting in my life met with varying levels of success. The constant, though, is that I always gained it back. But I met Brandon and, under his guidance, I know this time is different. Everything is different; everything is better. In a 10-week program with Brandon I have lost almost 50lbs. And that number is not accounting for the amount of muscle Brandon has put on me. He has trained me using a lot of weight training and discipline and I feel better than I have in a long time. Not just health wise, but future wise. Brandon was able to work with my health limitations and still got me to excel. I had all but given up hope of getting back in shape after years of excruciating back pain and 3 different back surgeries. I am under the constant care of several doctors for an ongoing health problem (Ankylosing Spondylitis‎) that severely limits my mobility and causes a lot of pain. Brandon dealt with that head on and has still got me on the track to where I want to be; where my kids deserve me to be. Brandon is a life saver and has helped my family in ways I can’t even describe. He is a good person, a great man, and an amazing trainer. I wouldn’t hesitate to recommend him to anyone at any level or at any age. He will believe in you even if you don’t believe in yourself. And, eventually, he will get you to believe, too.